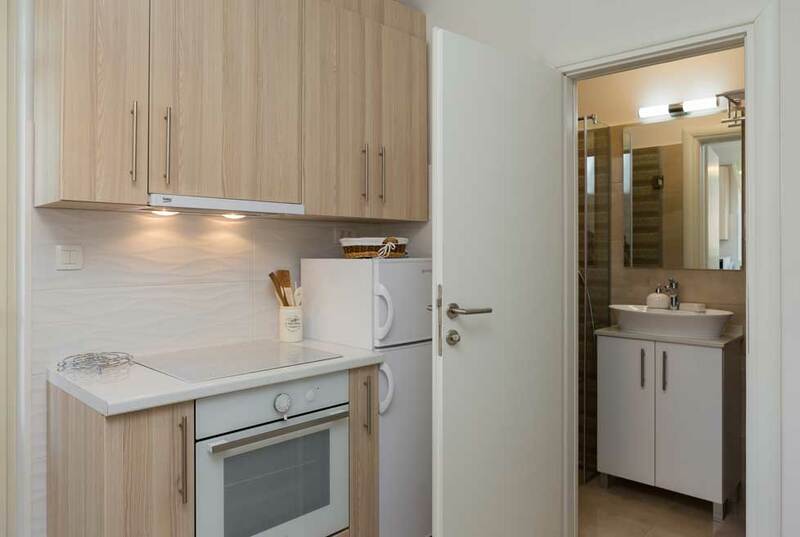 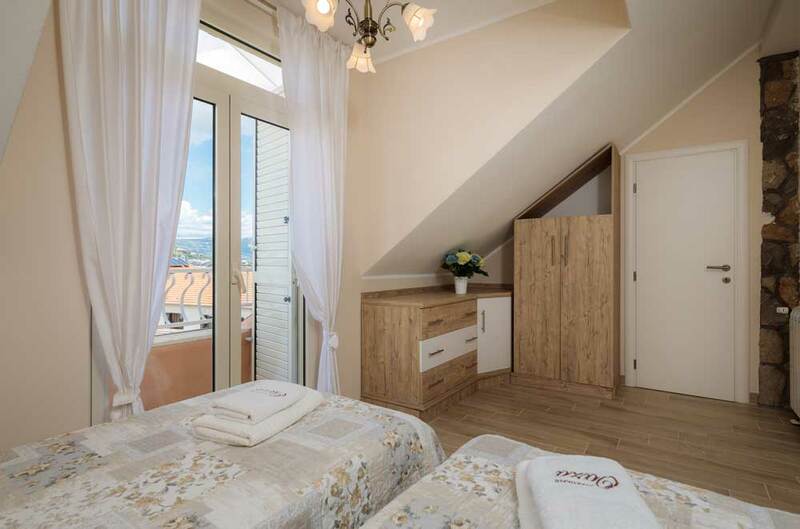 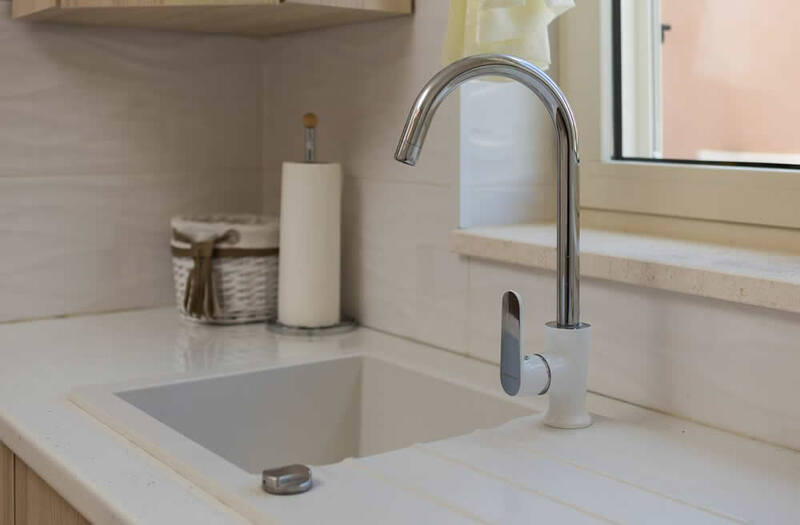 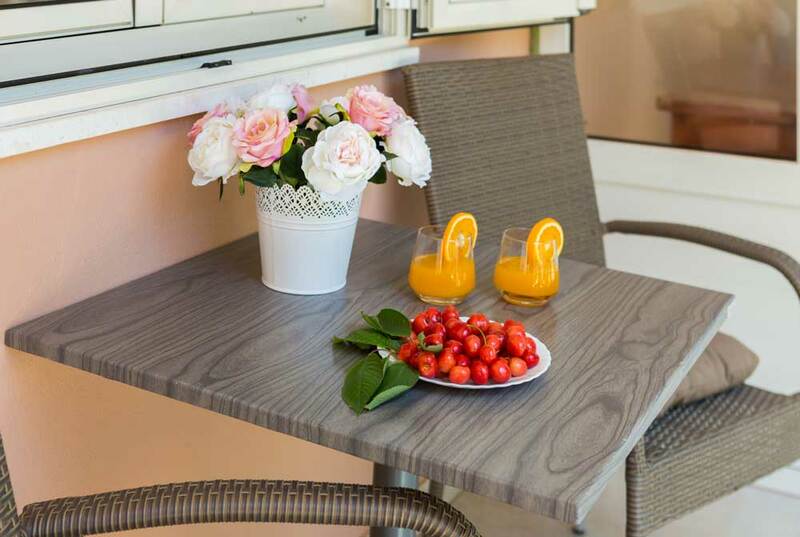 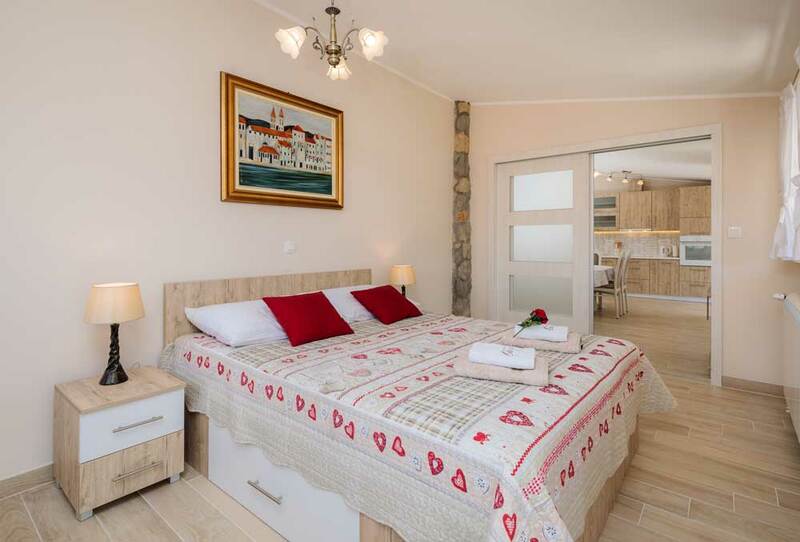 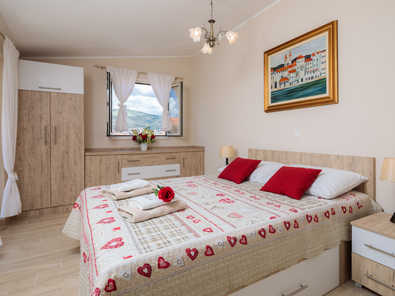 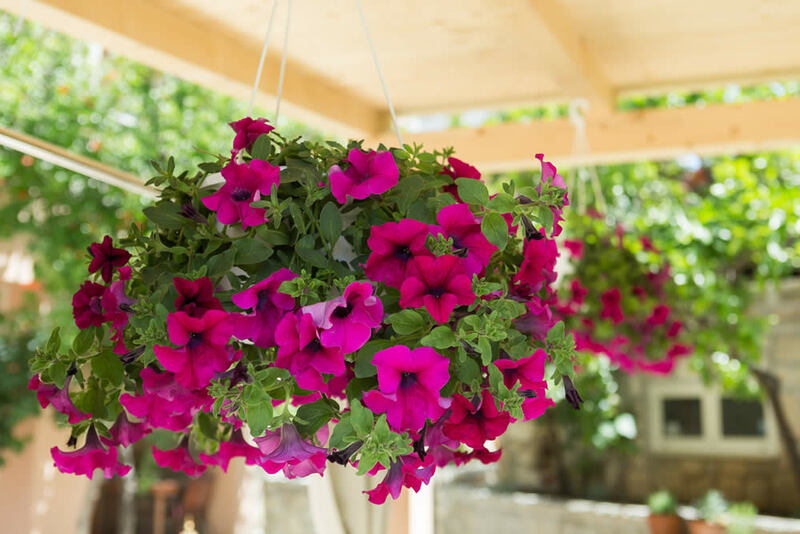 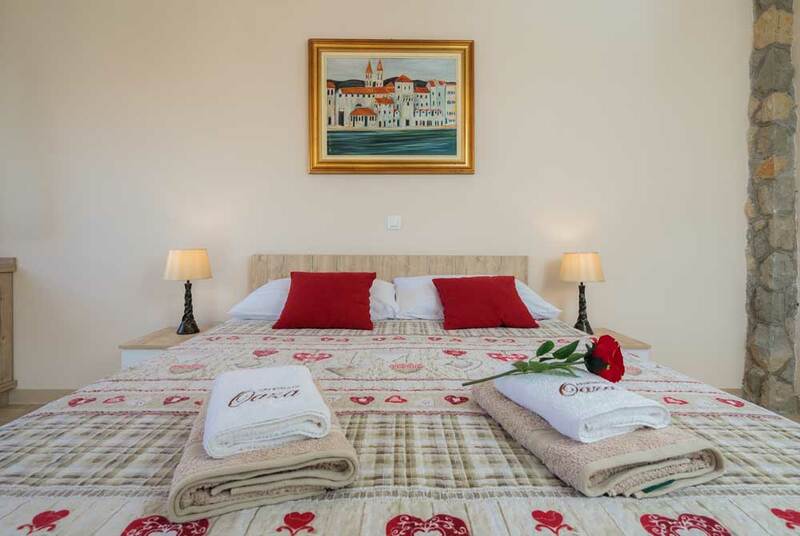 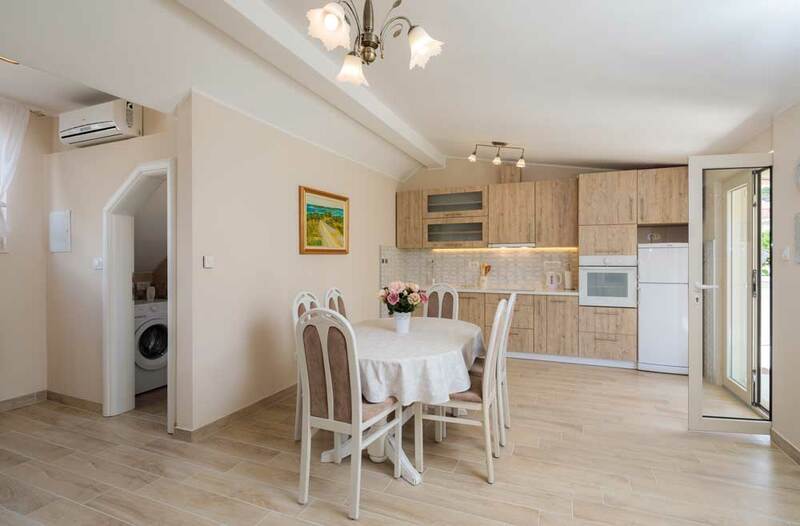 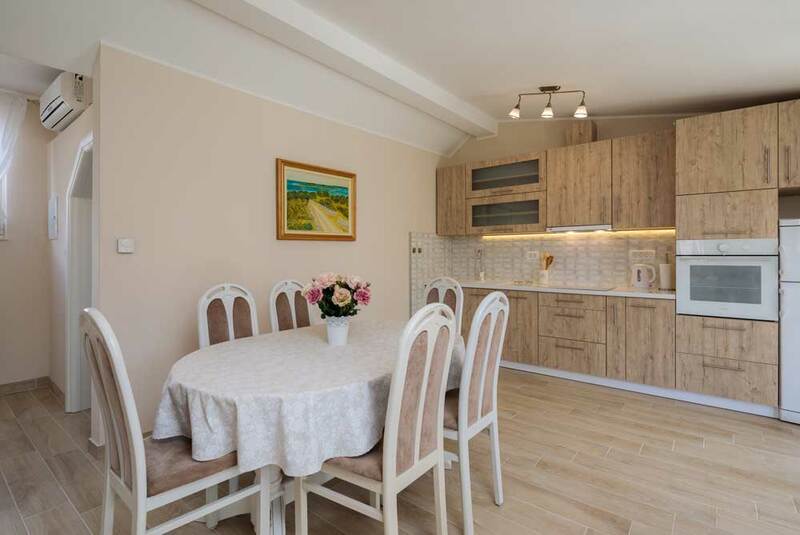 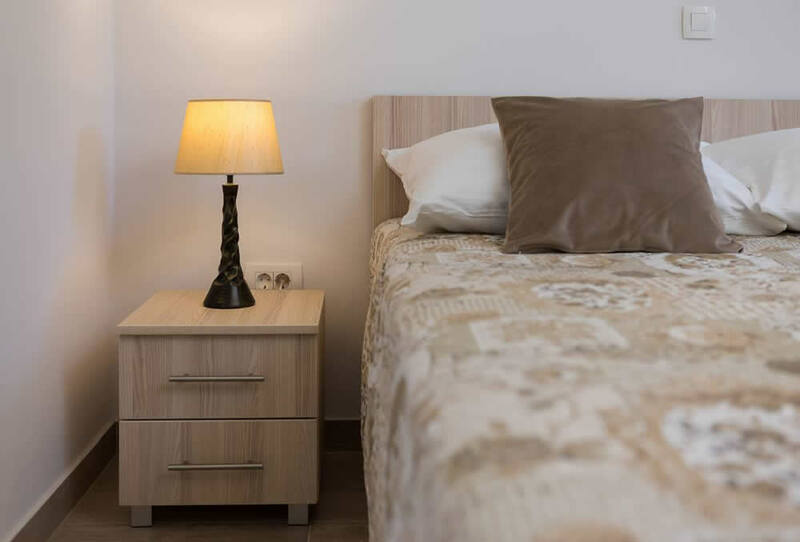 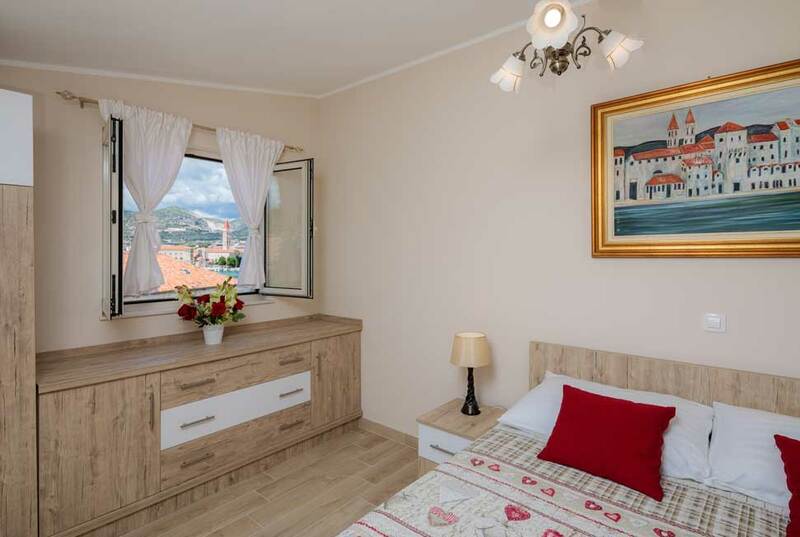 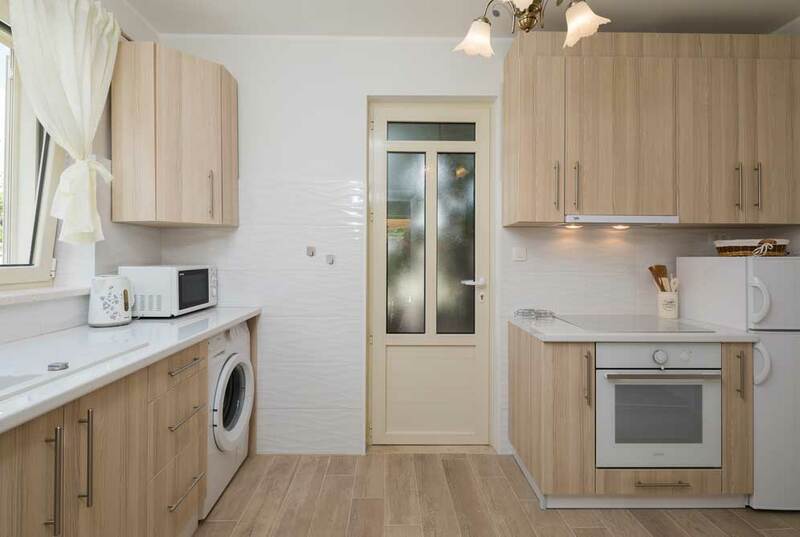 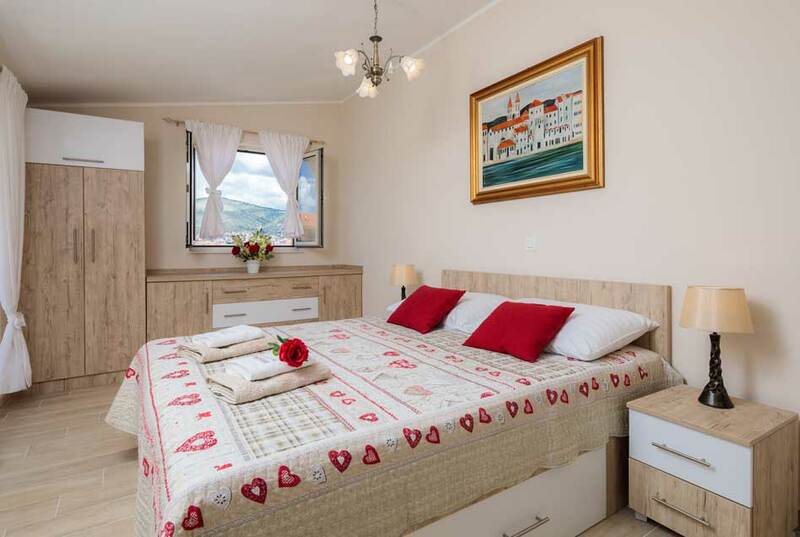 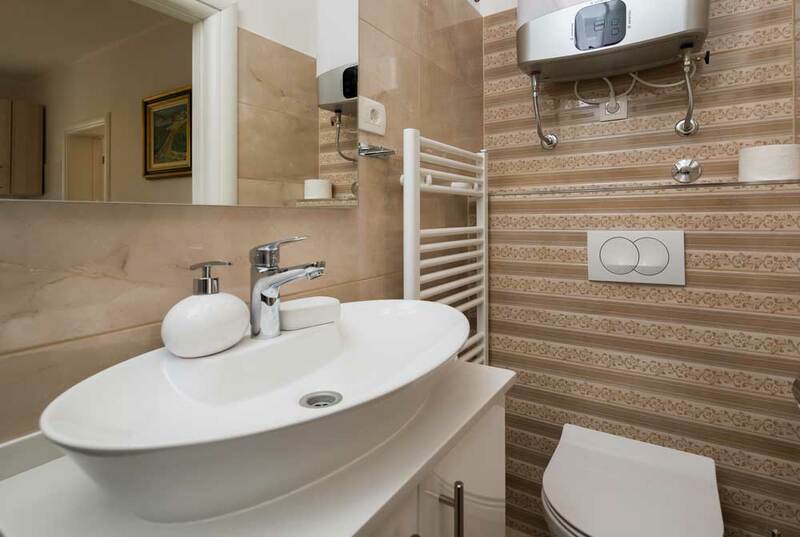 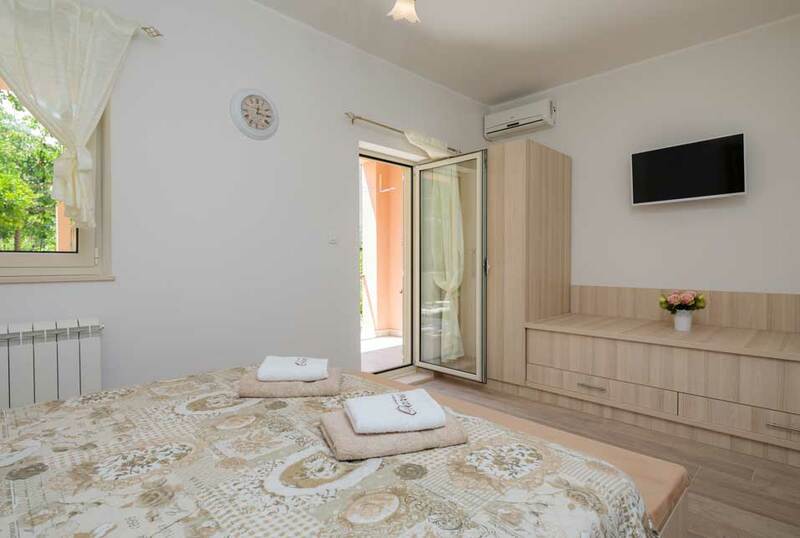 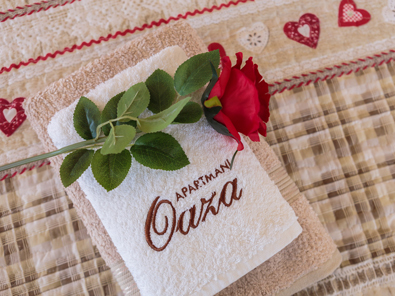 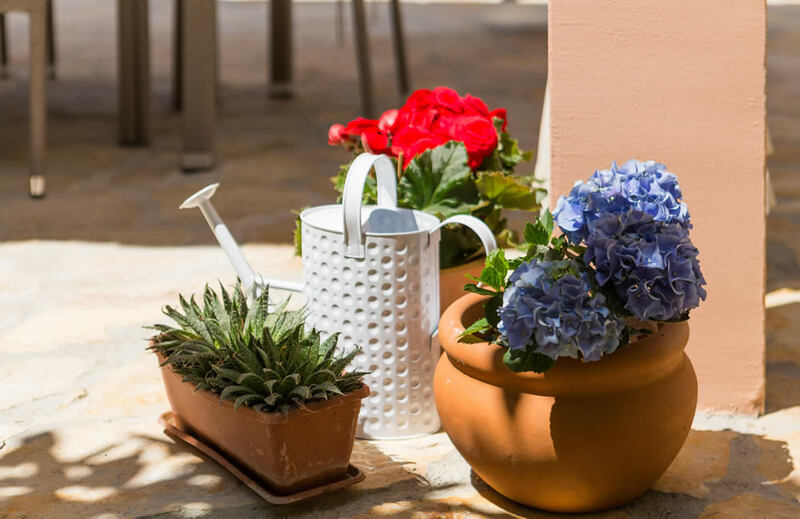 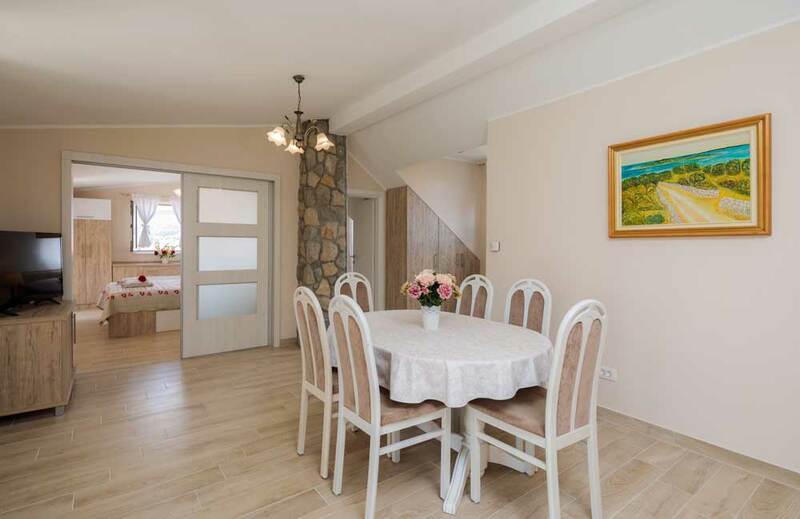 Our Oaza apartments are located in the northern part of the island of Čiovo, which is connected by three bridges between the old town and the coastline. 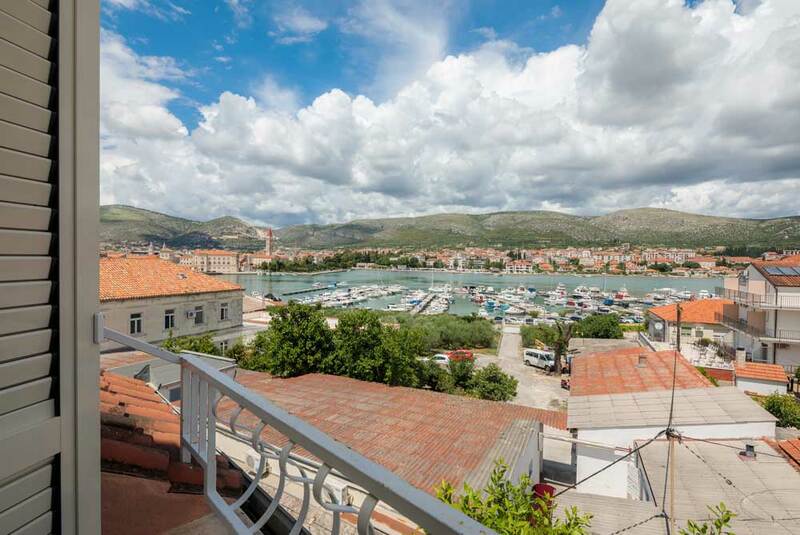 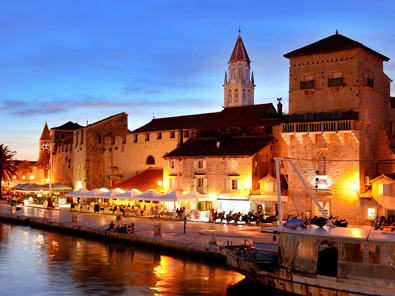 Our house is only a 5 minute walk to the old city of Trogir. 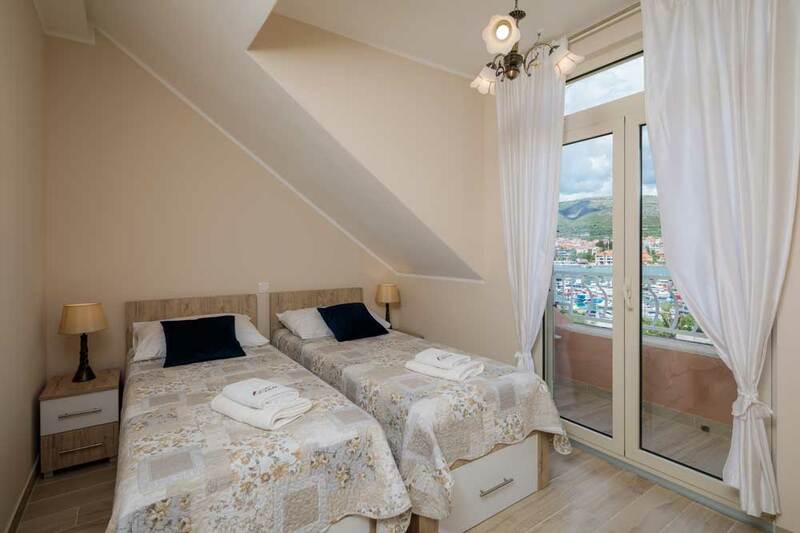 Owing to a good location of the house, guests can easily and quickly reach the city center and the beach. 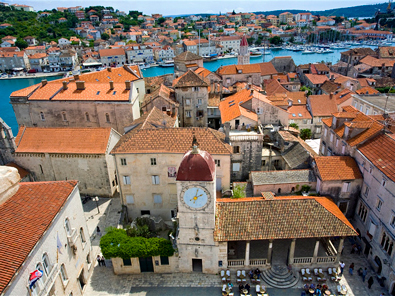 There are beaches along the whole island. 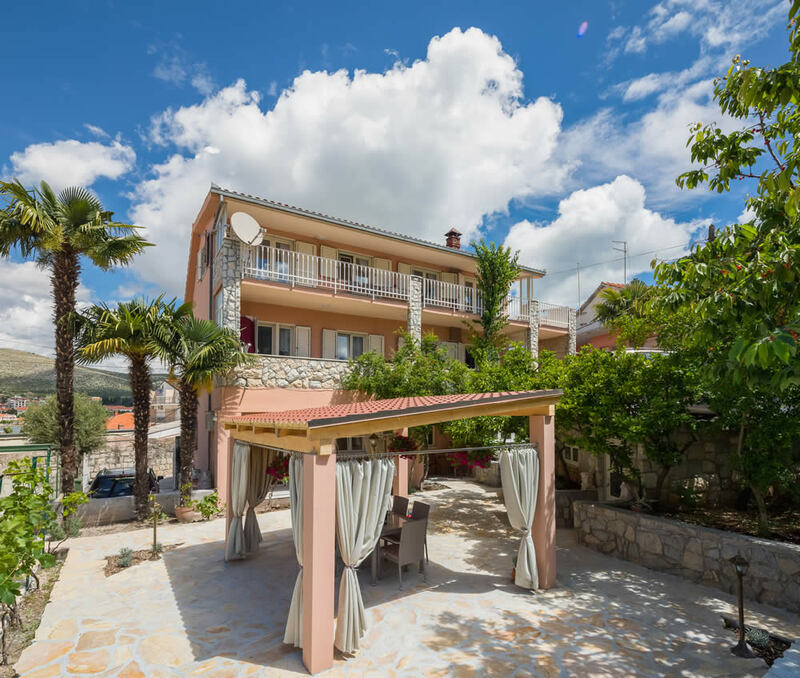 In the vicinity of our house, there are shops, a bakery, a post-office, restaurants that serve typical Dalmatian dishes, a pharmacy, cafes and a bus-station. 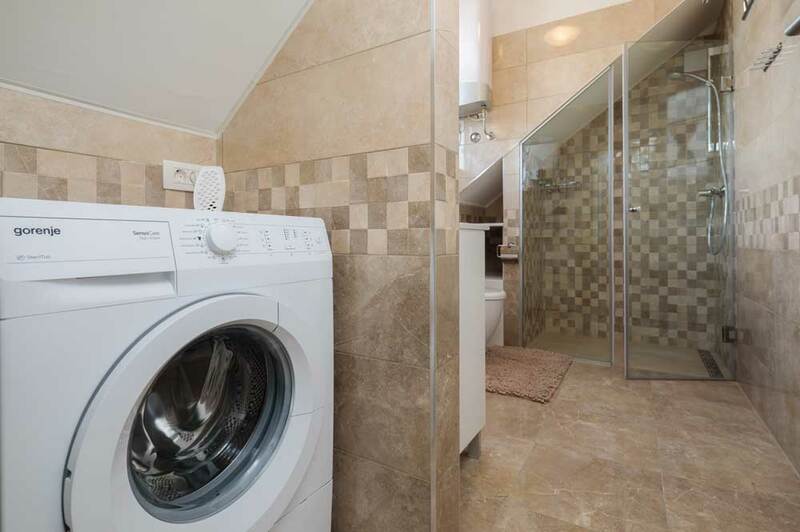 It is located on the ground-floor. 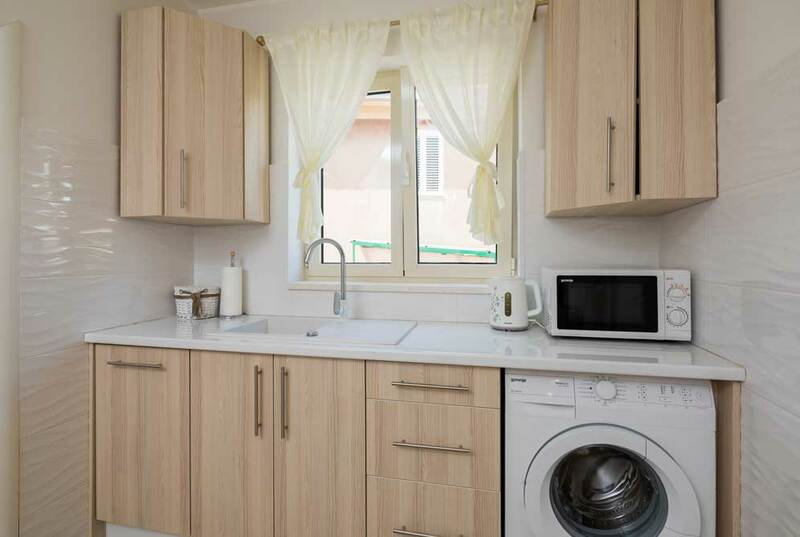 The apartment includes a kitchen, a bathroom with a shower and a bedroom with a double-bed plus a bed for one person. 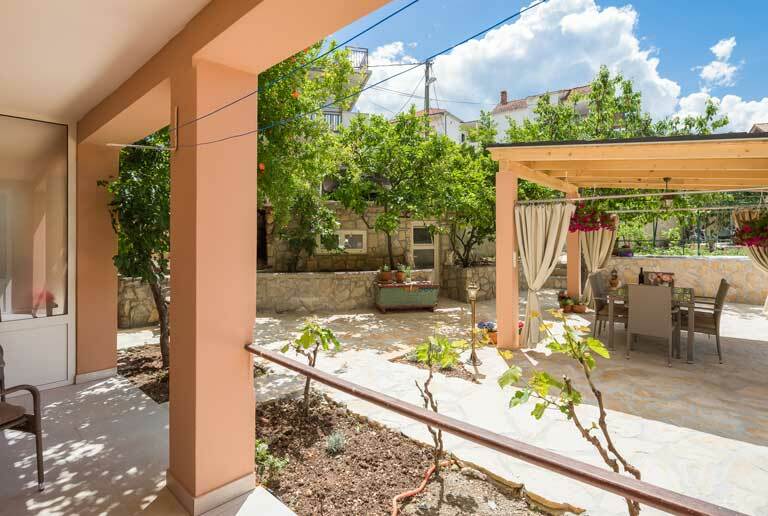 The Studio has a terrace with direct access to the garden. 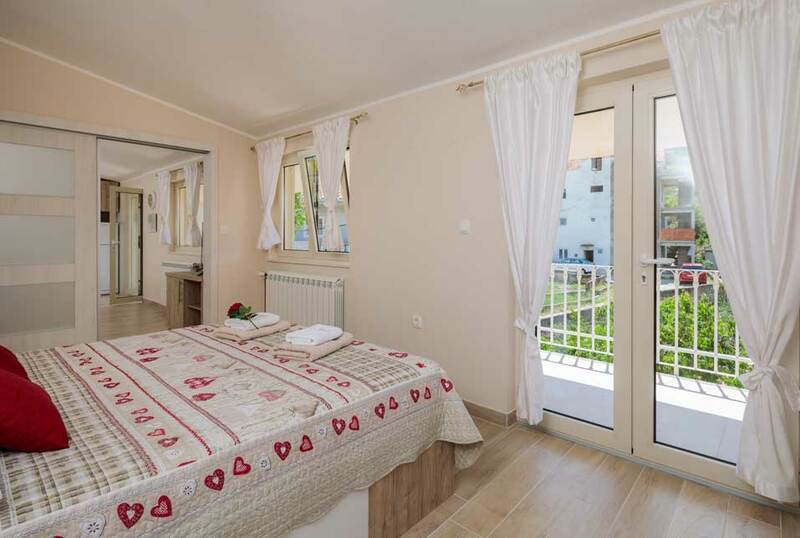 This apartment is located on the second floor. 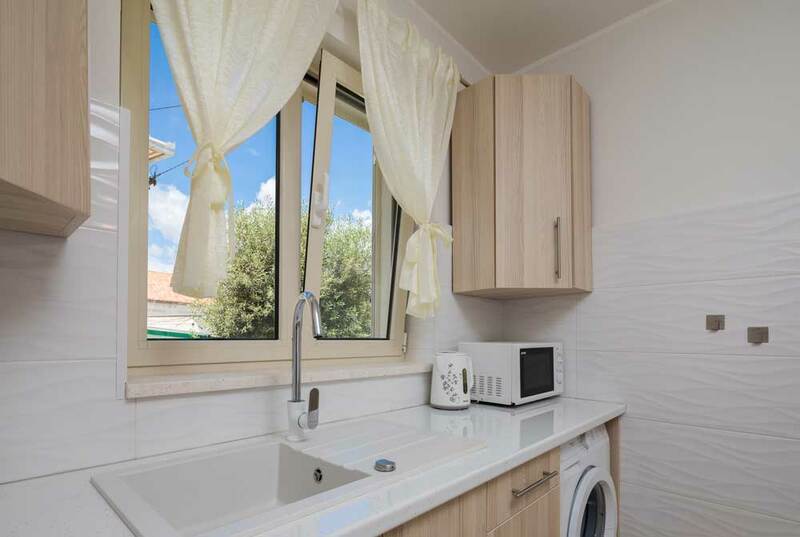 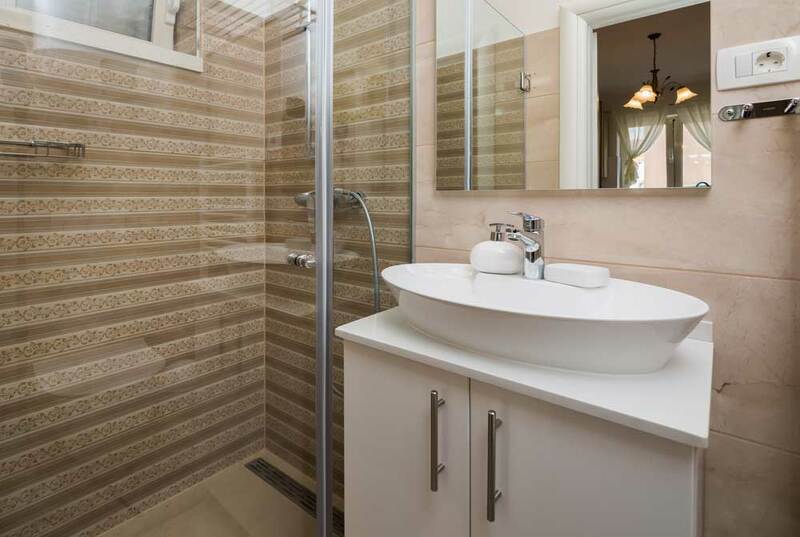 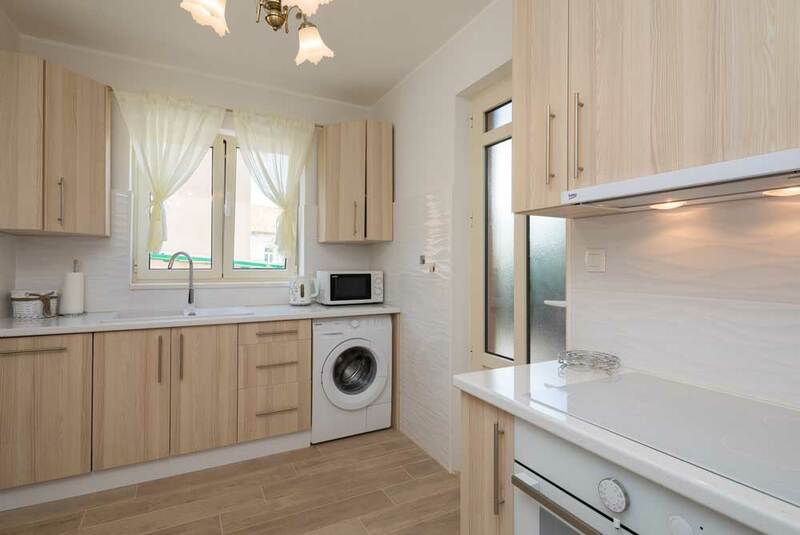 It has an equipped kitchen connected with the living room, a bathroom with a shower, one bedroom with a double-bed and the other bedroom with two single beds. 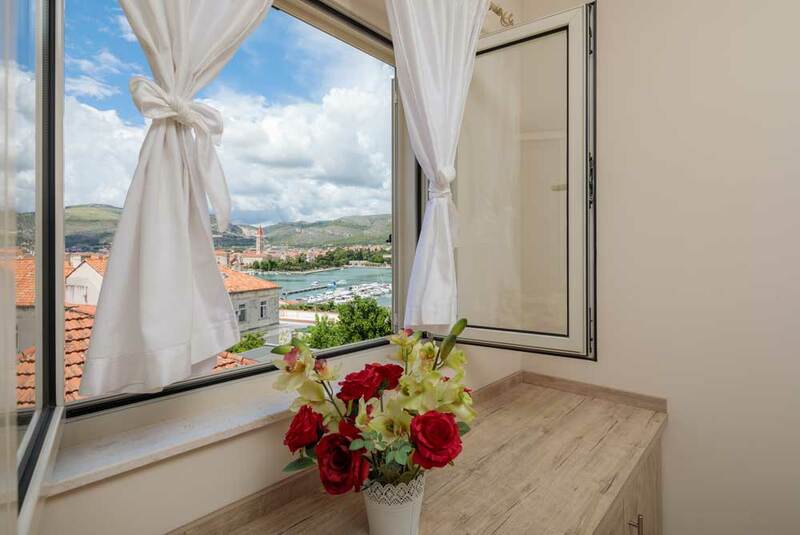 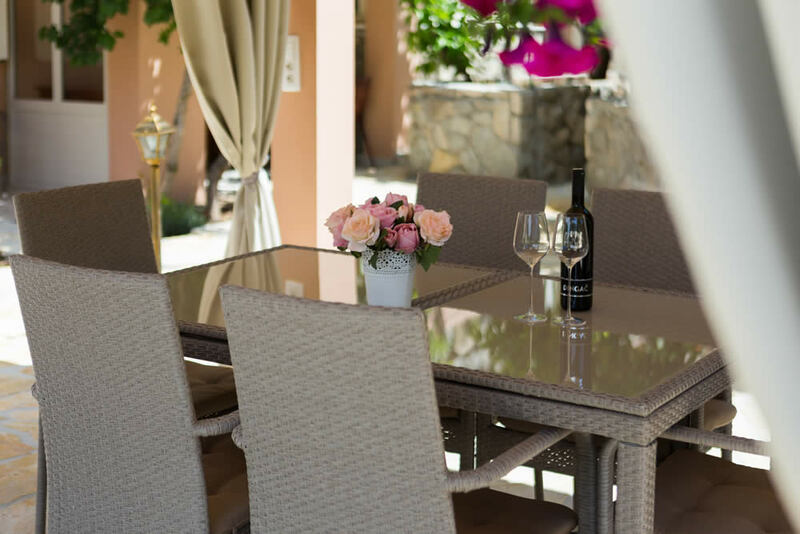 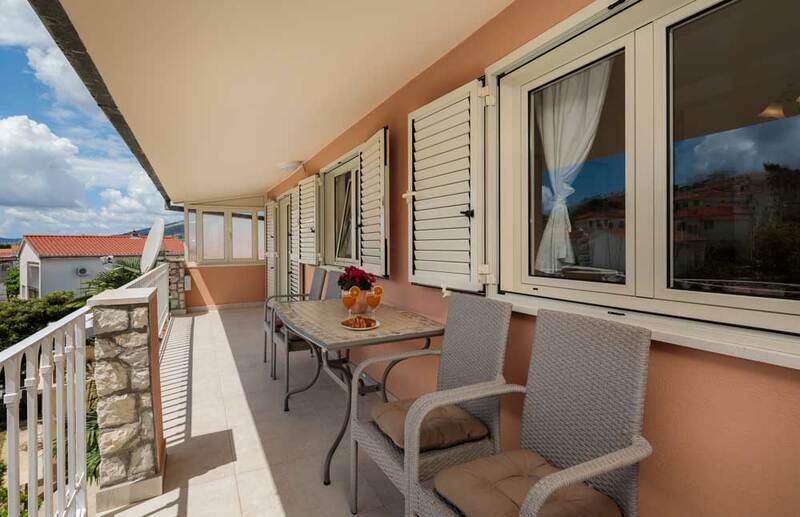 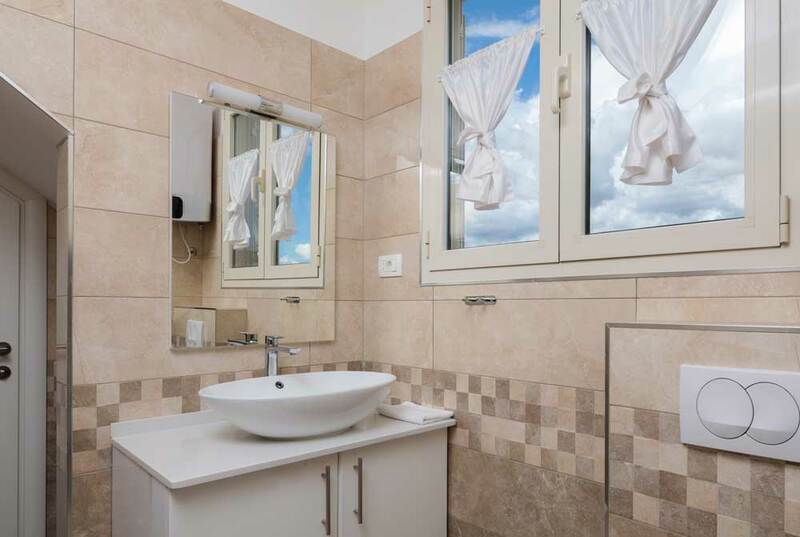 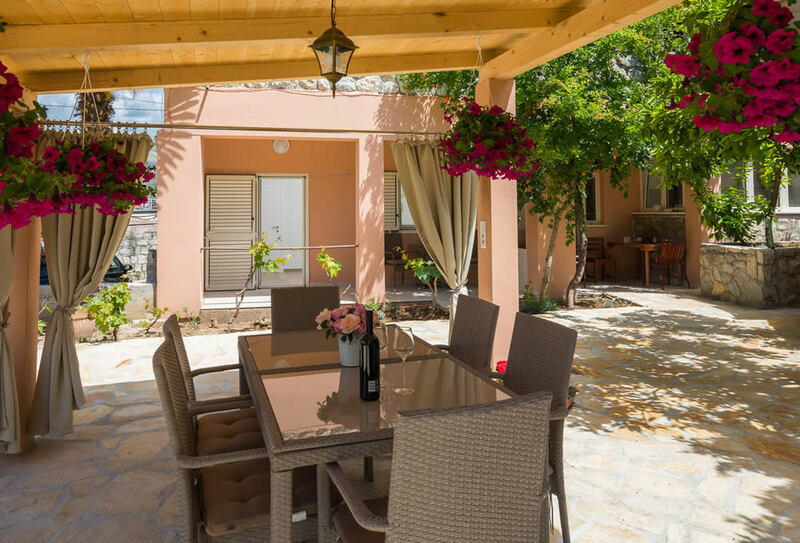 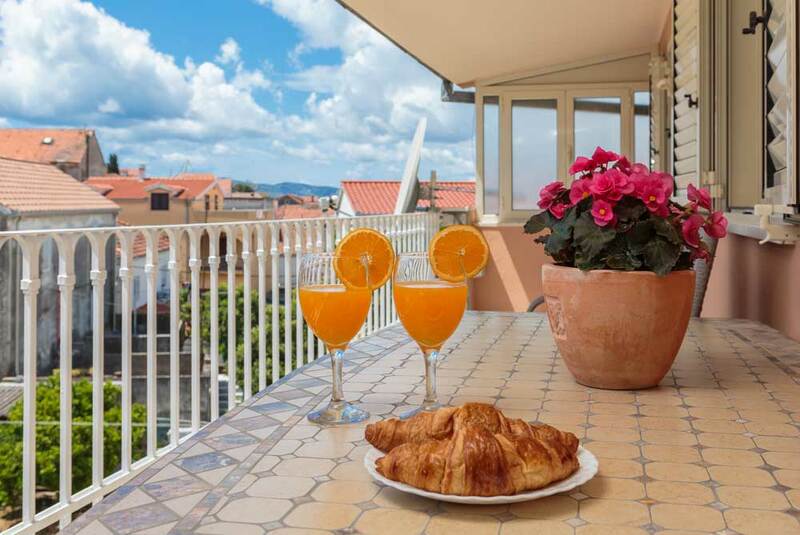 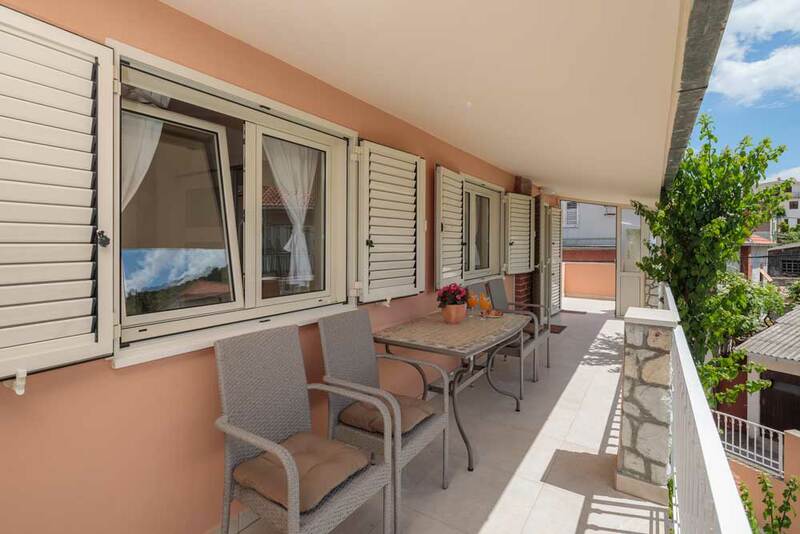 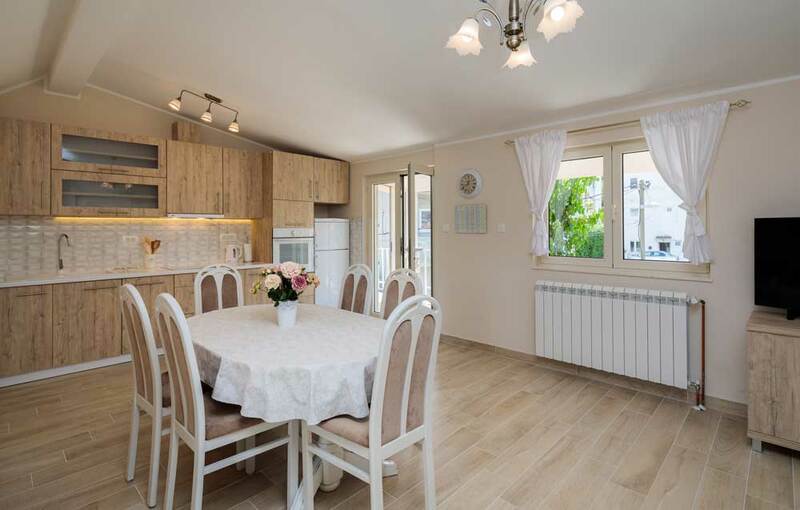 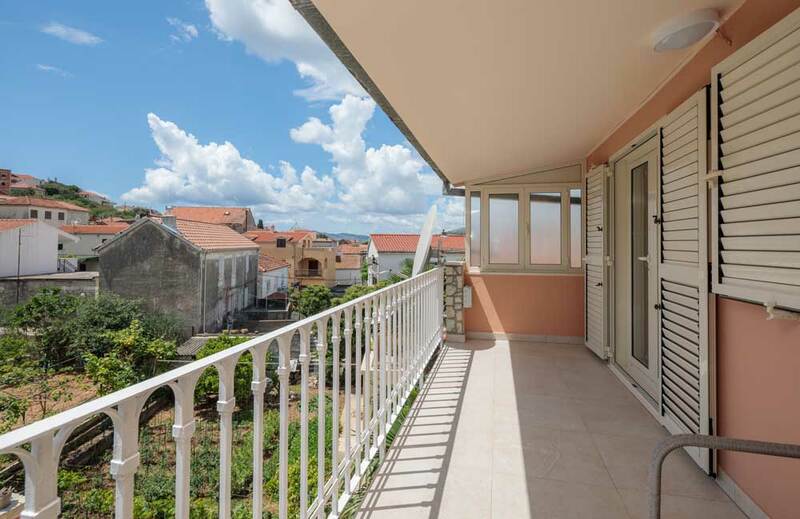 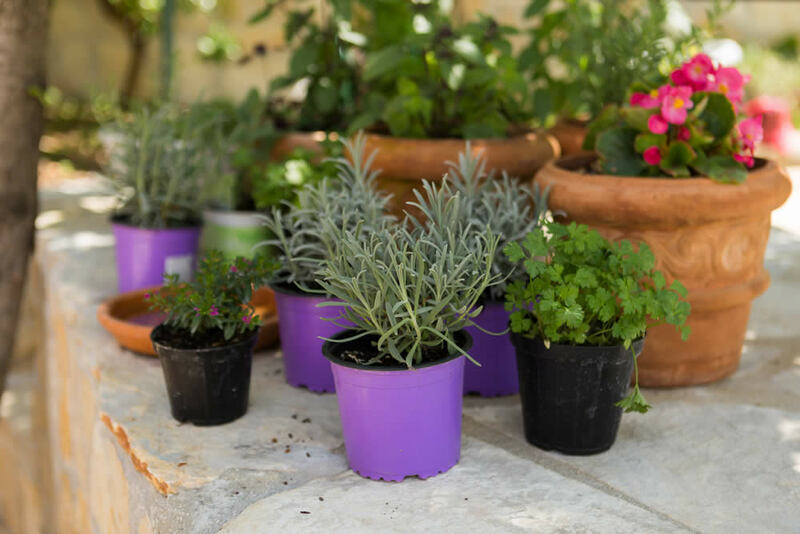 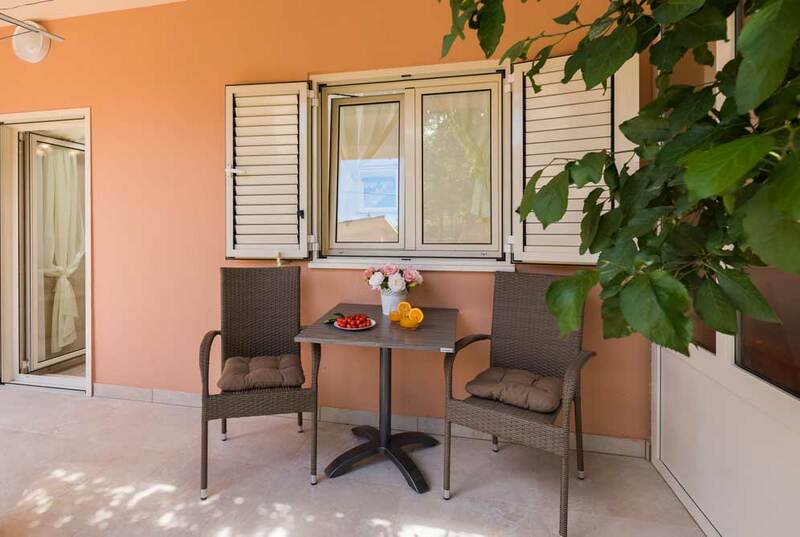 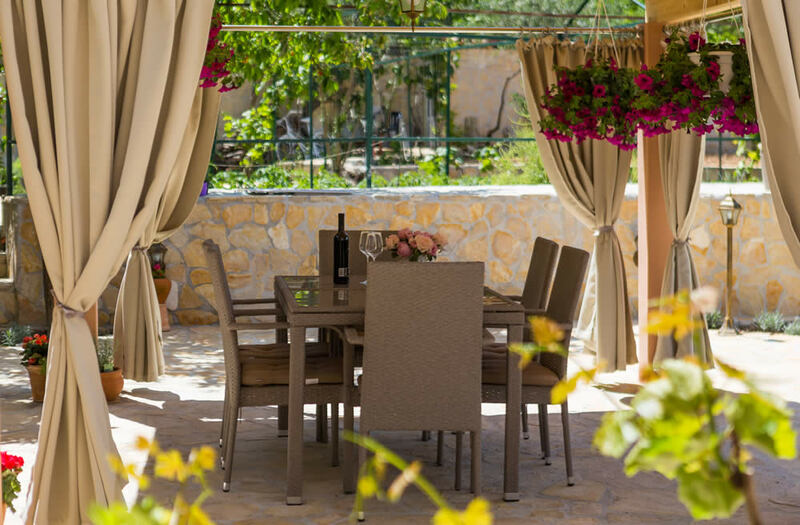 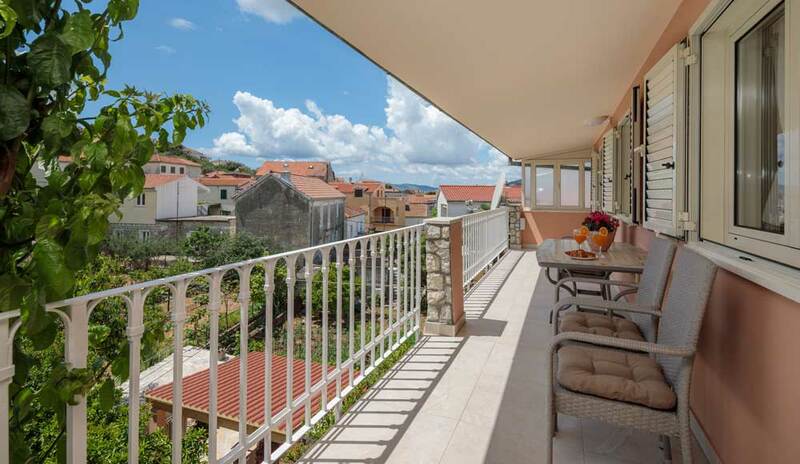 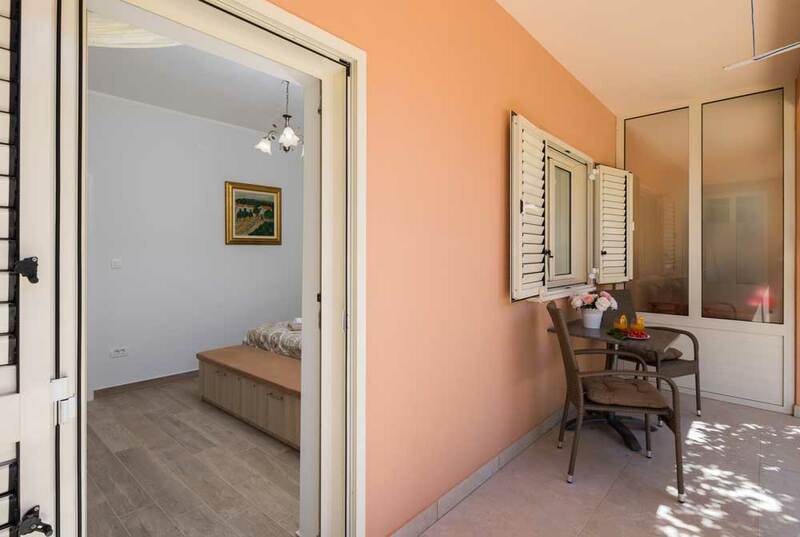 The apartment has two balconies, one with a view of the garden and the forest, and the second with a view of the sea, Trogir and Kozjak mountains.